World Phone also includes an innovative and useful voicemail feature to ensure you never miss a beat. 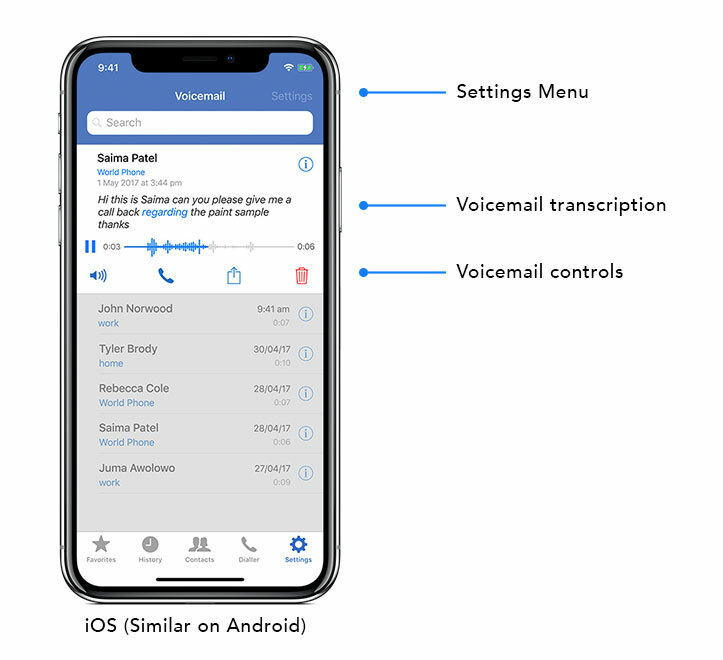 Using voicemail is simple and intuitive to use. Voicemails are transcribed into text so you don’t need to listen to them – although always can at the press of a button. The simple diagram below illustrates what each screen option does. Notice how easy it is to visually manage your voicemails instead of managing them with traditional dial tones. Click the Settings button on your screen’s top right to access the features options. 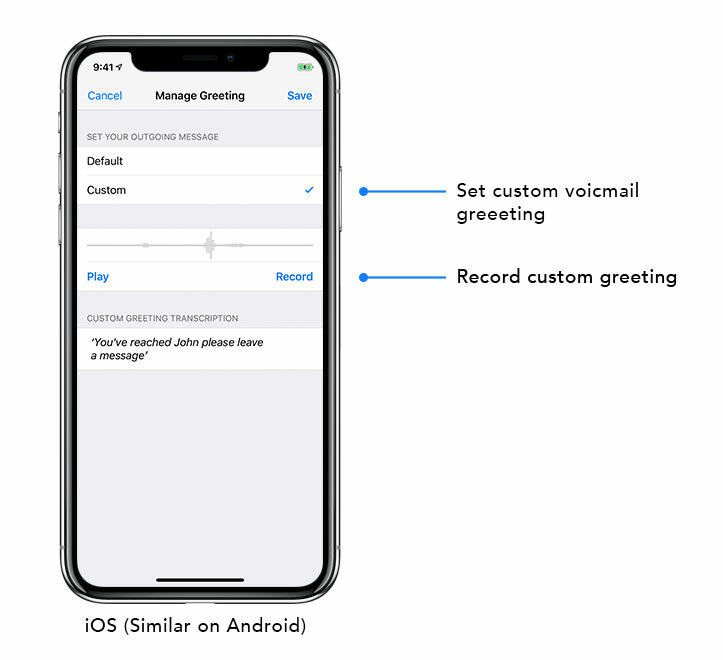 World Voicemail users love customising their voicemail greetings. In World Voicemail, you can set a custom voicemail as much as you like. Change it when you’re on holiday, on special occasions or seasons, or if you’d like to keep things fresh. Don’t forget to Save your greeting when you finish. You can use this option to manage your voicemails in bulk quickly. Simply select the voicemails that you would like to set as Read or would like to Delete. Enable or disable a number of voicemail settings to match your prefered experience.